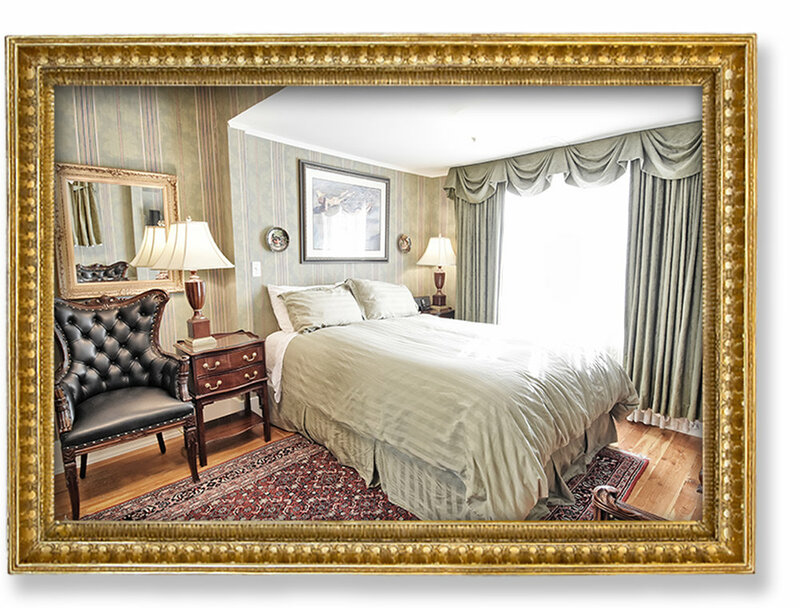 Westways Guest House is a historic Bed & Breakfast in the heart of Calgary. Just a few minutes walk from the beautiful Elbow River and the famed shopping and restaurants of Calgary’s 4th Street and 17th Avenue, it’s the perfect place to stay while visiting the city of Calgary. Built over one hundred years ago, the hardwood floors, ornate millwork and antiques of Calgary Westways are reminiscent of old English charm and splendour. The dining room and hallways are full of historical photographs and interesting family treasures. Guests who order breakfast will enjoy their meal served on place settings of fine bone china, cut crystal stemware and sterling silverware. At Calgary Westways, we want our guests to feel relaxed and special. 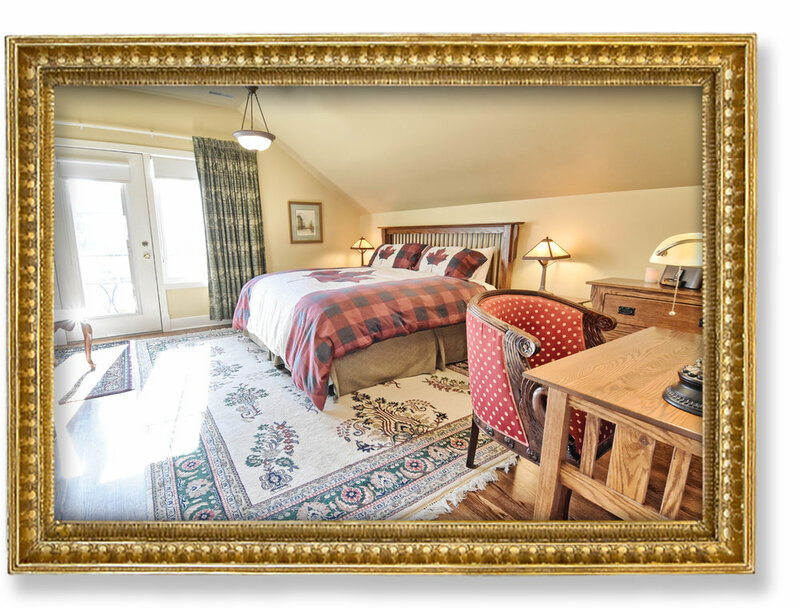 Calgary Westways Guest House is home to 6 lovely appointed guest rooms. Each has its own washroom and its own distinct personality, but all share a warmth you will love. Choose a room with a king or queen size bed, a sitting room or an outside balcony, a 60” HD TV or a see-through fireplace and a two-person spa soaker tub surrounded by candles. Whatever your needs or tastes are Calgary Westways is sure to have a room that you’ll love. 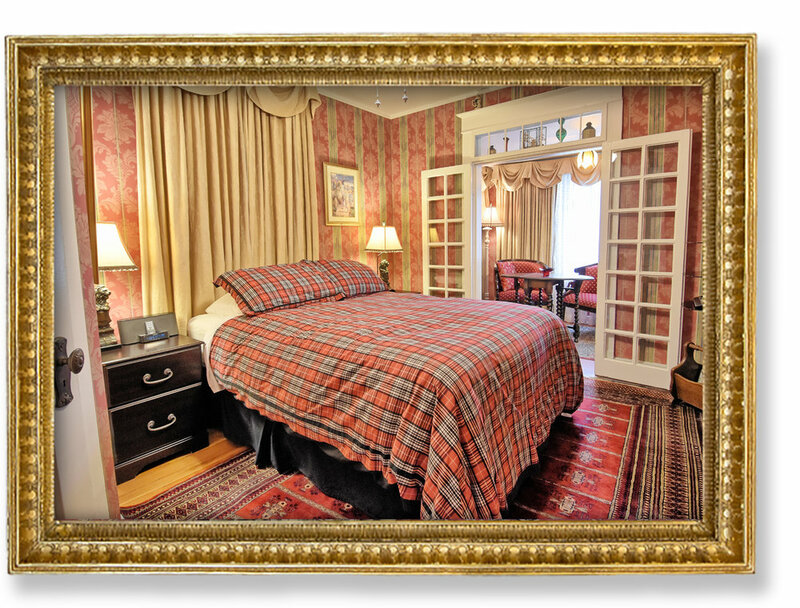 Please click the button below to take a virtual tour of the entire guest house. 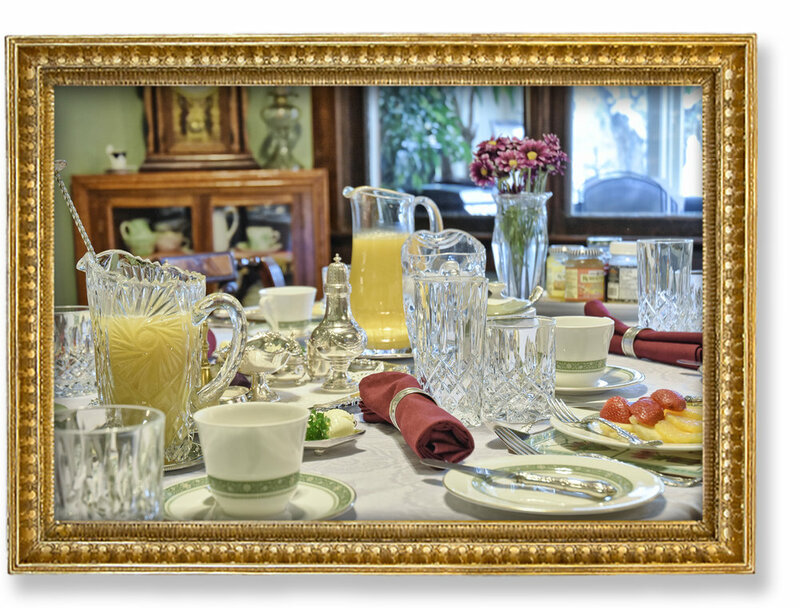 Our famous Westways Breakfast is served each morning in the elaborately appointed dining room on the main floor. The breakfast starts with a fresh fruit platter, followed by a delicious hot entrée that changes every day. A wide selection of cereals, fresh baked goods, preserves and fresh fruit juices are provided with a variety of coffee and teas. Please let us know in advance if you have any special dietary requirements so we can ensure you have a meal that is enjoyable for you. Click the button below to see pricing for breakfast. Calgary Westways Guest House is monitored for quality and standards by AAA/CAA and has been awarded a 3 Diamond rating. We have also received a Trip Advisor Certificate of Excellence due to the vast number of high reviews our guests have given us. Amazing host, beautiful space, walking distance to downtown, fantastic breakfast, comfortable rooms. I could go on and on. I will book again and highly recommend. Calgary Westways Guest House is your home in the hub of everything there is to do when you visit Calgary. Downtown Calgary with world renowned restaurants, shopping, pubs and teeming night life is just steps away from Calgary Westways Guest House. The world famous Calgary Stampede grounds and Saddledome arena home of the NHL Calgary Flames and the venue for many entertainment events is just a short and safe walk away. 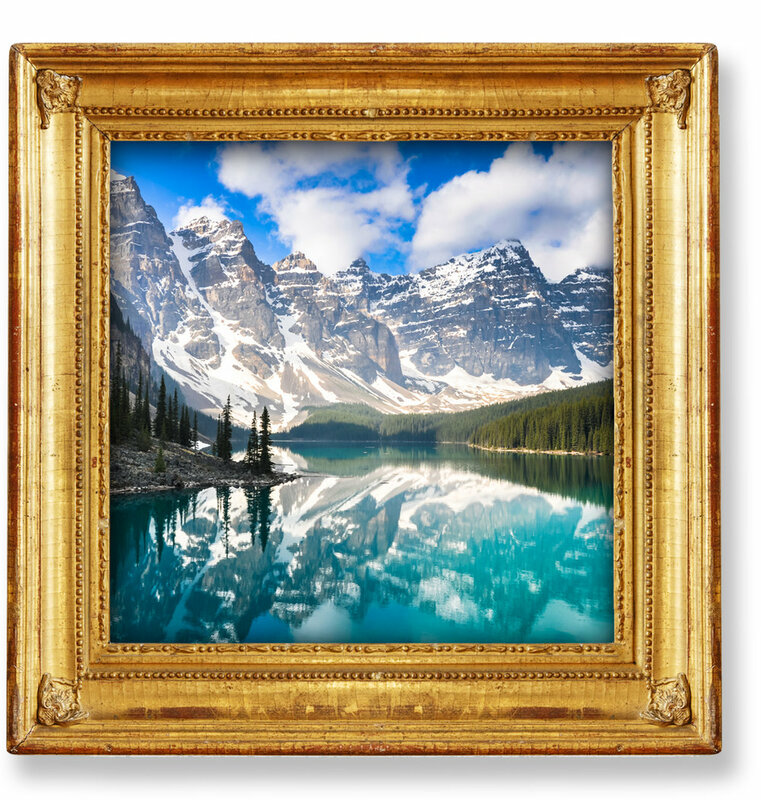 The Canadian Rocky Mountains, home of some of the world’s most beautiful places are just minutes away and make for a great day trip from our front door. Build your own self-guided walking tour of all the wonderful things to do close to Calgary Westways Guest House. Just click the image below and away you go! Click on any of the images below to see our full gallery of photos. Thank you for choosing Calgary Westways Guest House. We look forward to making your stay in Calgary a warm and welcoming one!